Lueders Blocks – Lueders is layered by Mother Nature in ledges. 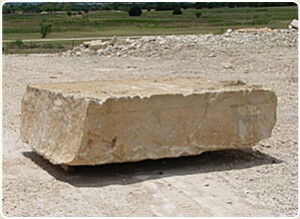 The typical ledge allows us to quarry stone that has a depth of 1′ – 4″. The typical width of a block is 4′ and the typical length 8′. This quirk of Mother Nature limits typical design in Lueders to pieces that are no more than 1′ – 4″ in 1 out of 3 dimensions. Stone Samples available upon request due to variability in Antique Lueders. Contact us here or give us a call at 254-793-2329.